Several species of ticks spread disease. 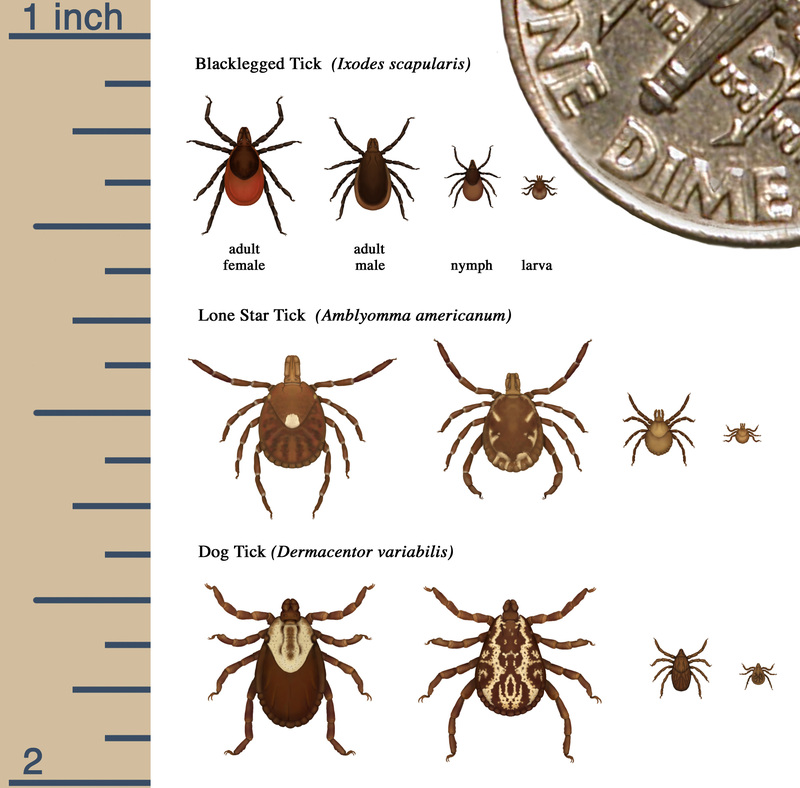 Some of these species, such as the black-legged deer tick, are active and can transmit disease year-round in Ohio while other species are generally active in Ohio from early spring until late fall. Diseases spread by ticks include: Rocky Mountain Spotted Fever, Lyme Disease, and Ehrlichosis. These diseases are transmitted only by the bite of an infected tick. Ticks become infected by taking a blood meal from an infected animal. An infected animal or person cannot pass the infection on to another animal or person. When a tick bites a person or an animal it generally remains on the skin for a period of time. Be sure to check yourself and loved ones after spending time in ticks' habitat (wooded or weedy areas). Avoid likely tick-infested areas (i.e. wooded or weedy areas). Tuck your pants into sock tops and boots. Wear light colored clothing to make it easier to find crawling ticks. Check yourself, your children and pets frequently for ticks. Bathe or shower after exposure to tick habitats to wash off and more easily find ticks that may be crawling on you. Preferably within two hours. Dogs are at risk for tick-borne diseases and they may carry infected ticks into the home. Infected dogs are not contagious to humans. Treatments are available to control ticks on dogs. Consult your veterinarian and always follow label instructions.